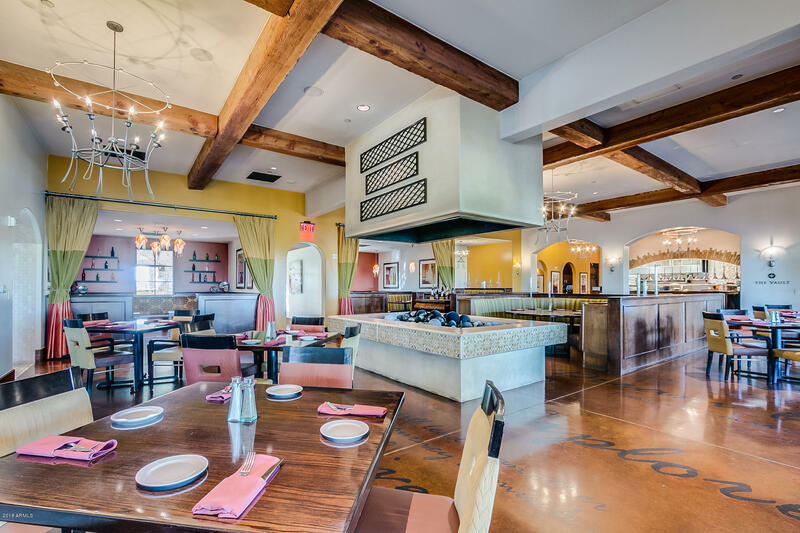 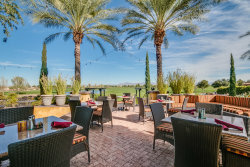 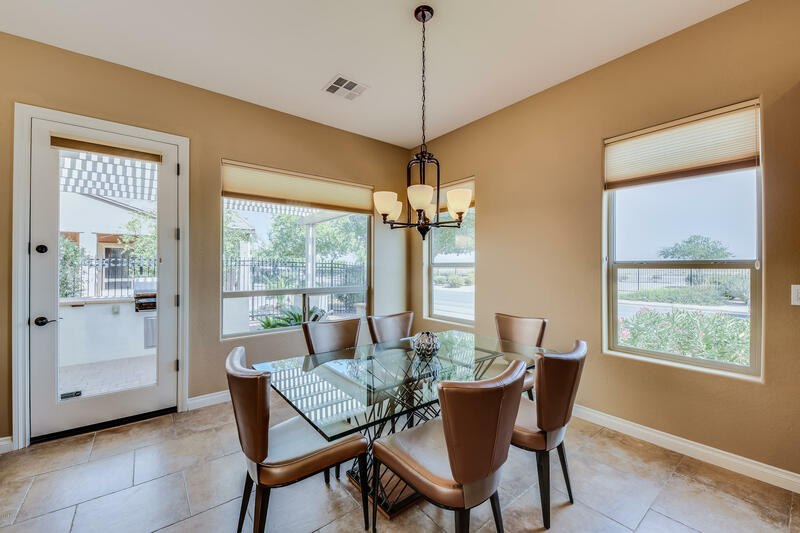 Start living the Encanterra(r) Lifestyle today! 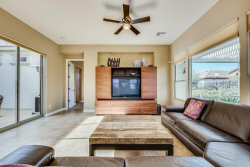 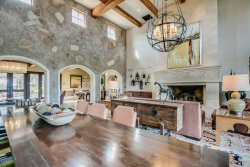 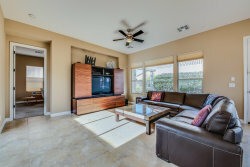 Why wait for new construction when this popular Positano plan is pristine and turn-key ready. 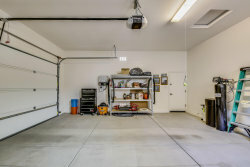 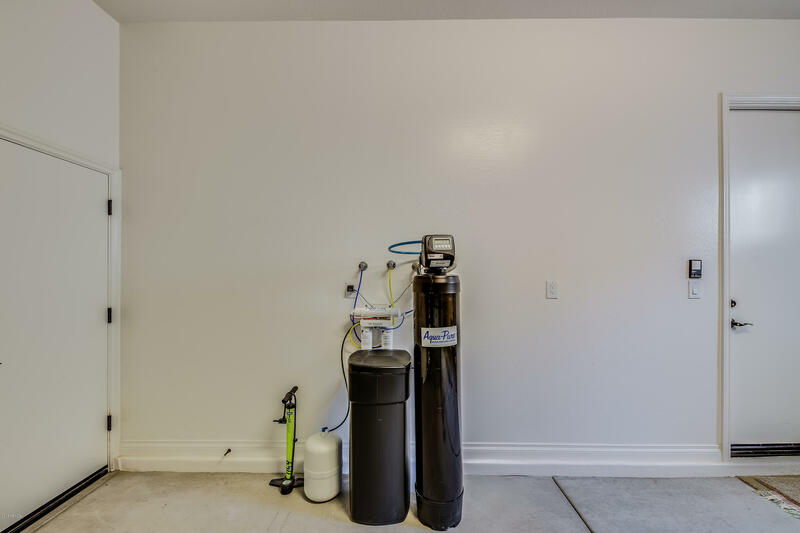 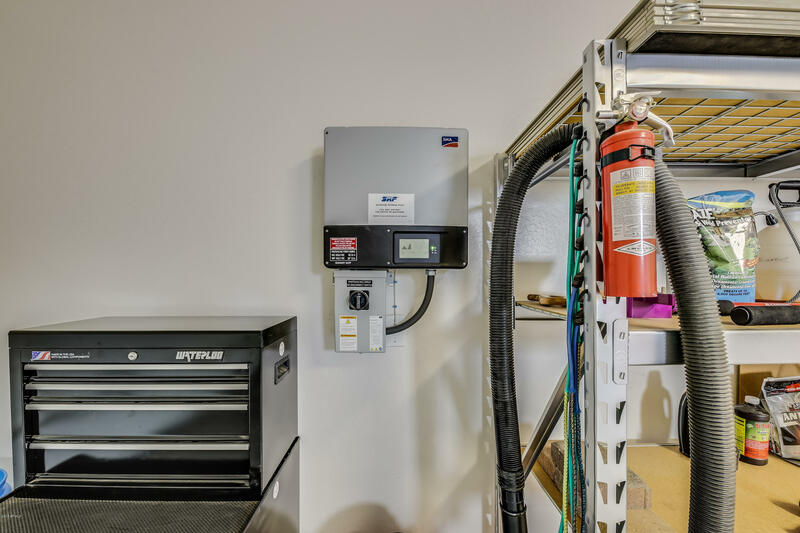 Plus this home offers an owned solar system. 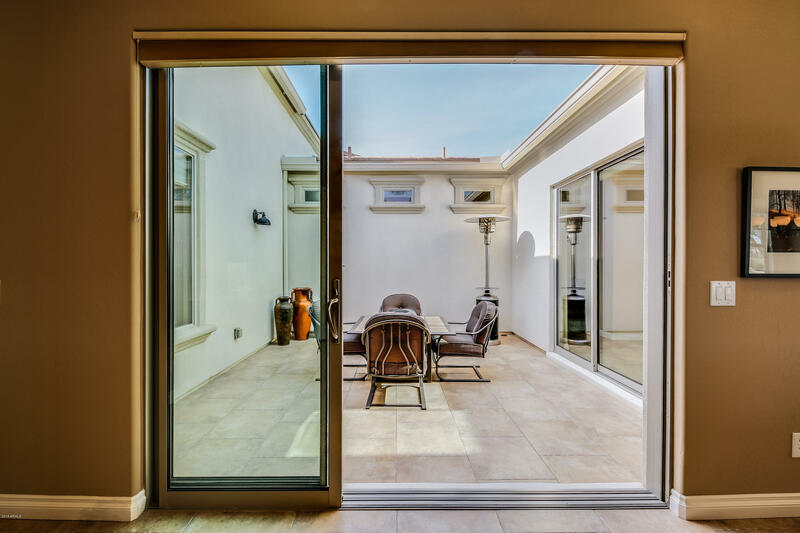 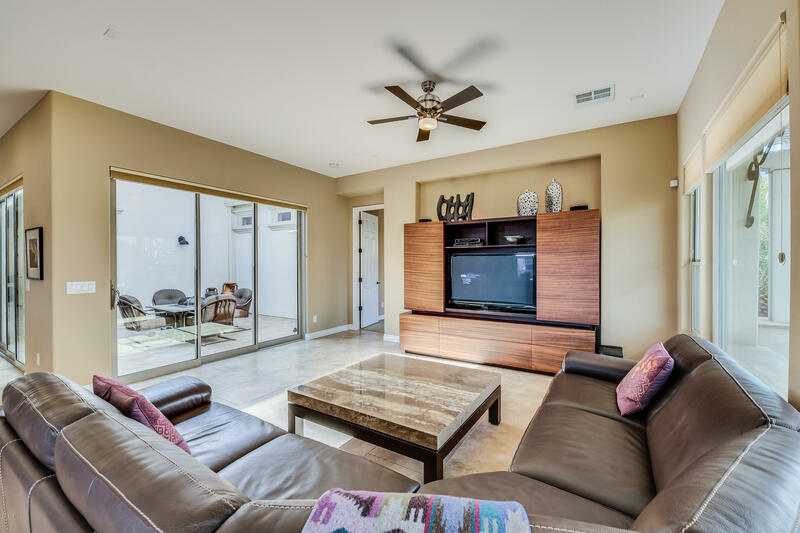 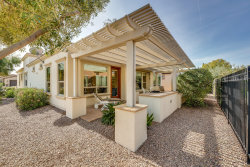 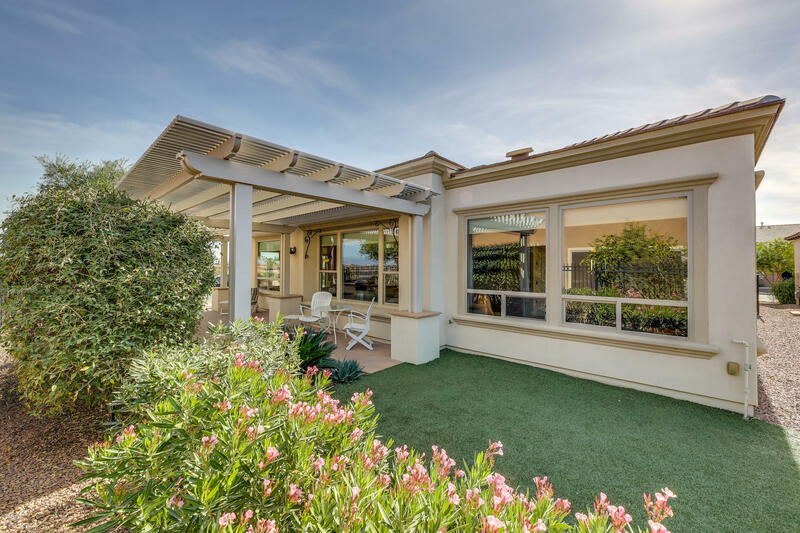 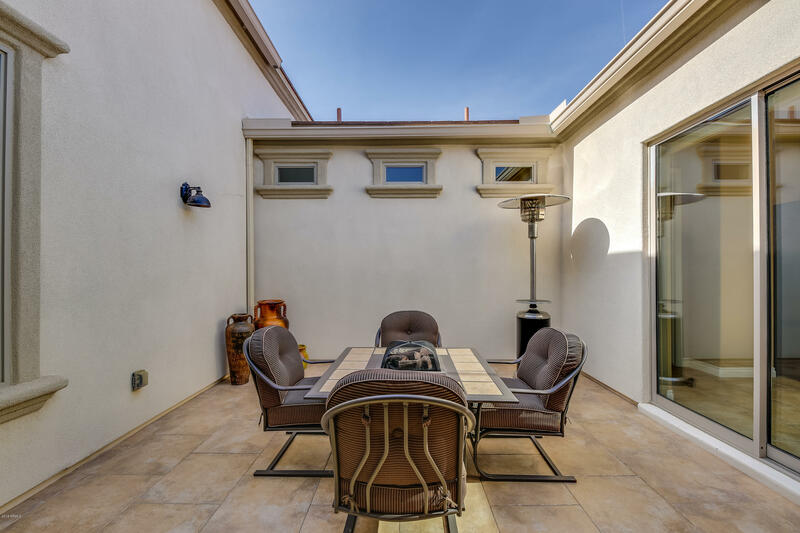 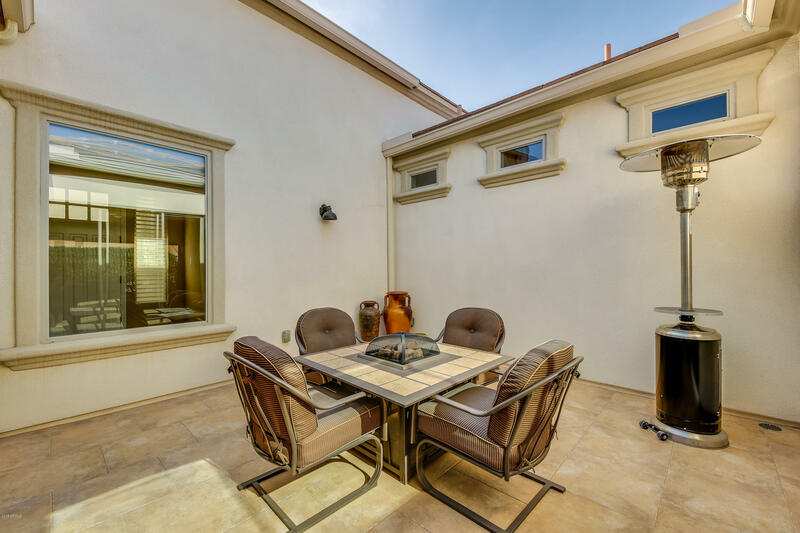 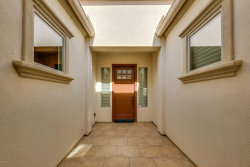 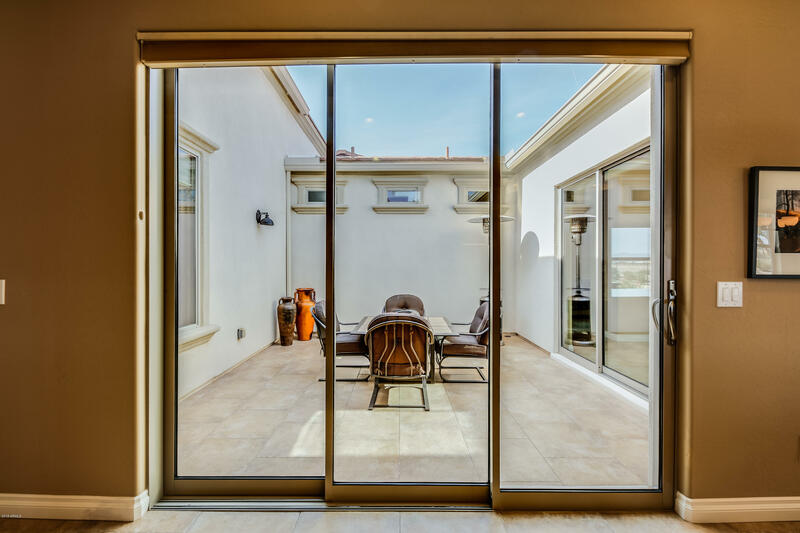 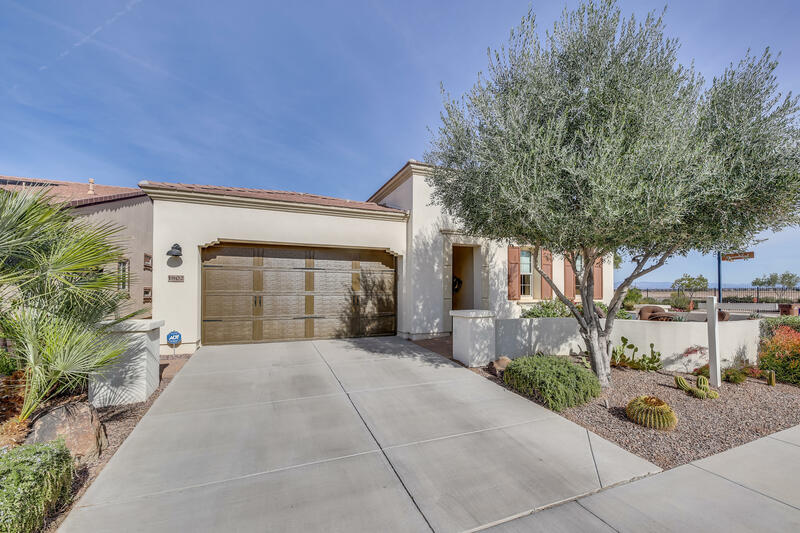 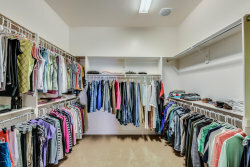 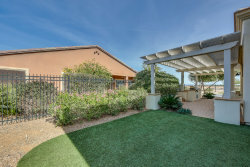 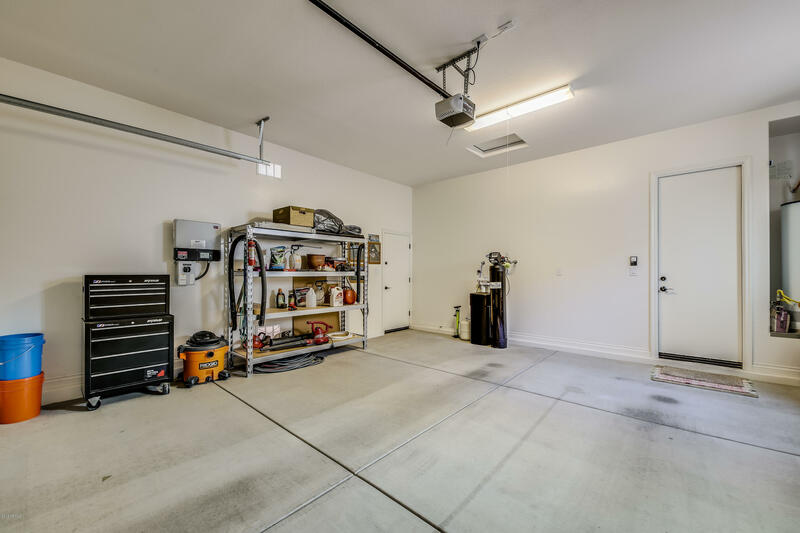 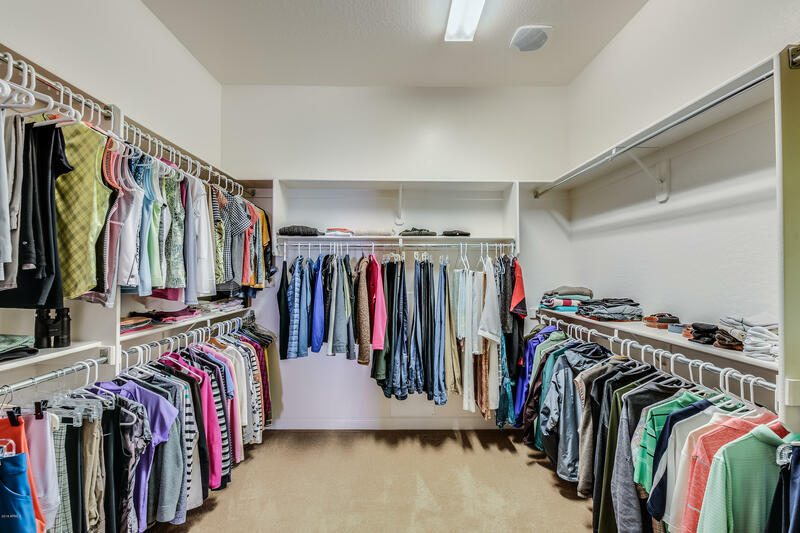 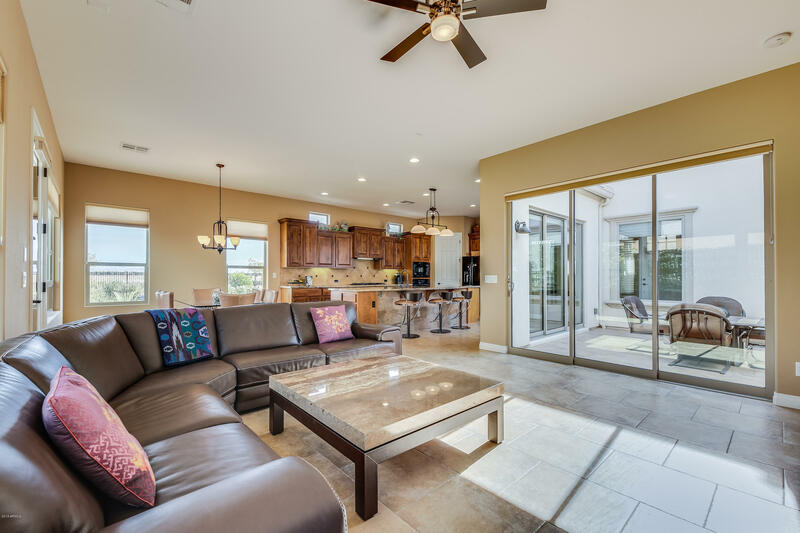 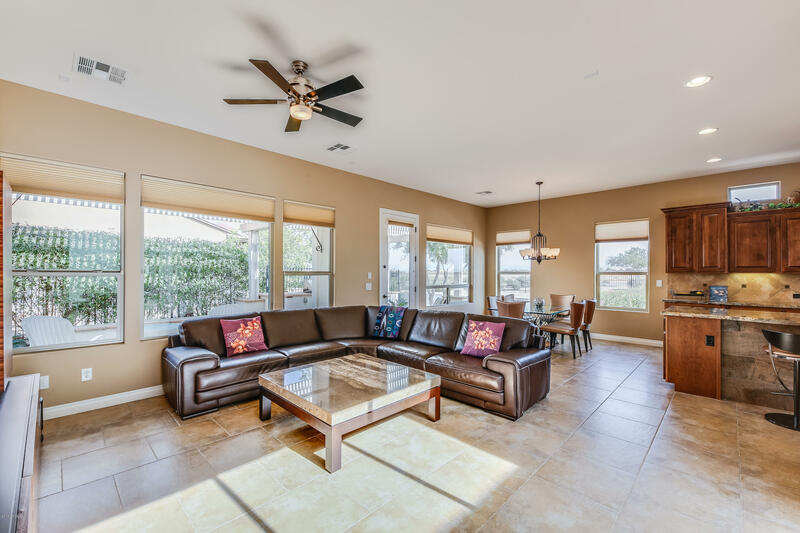 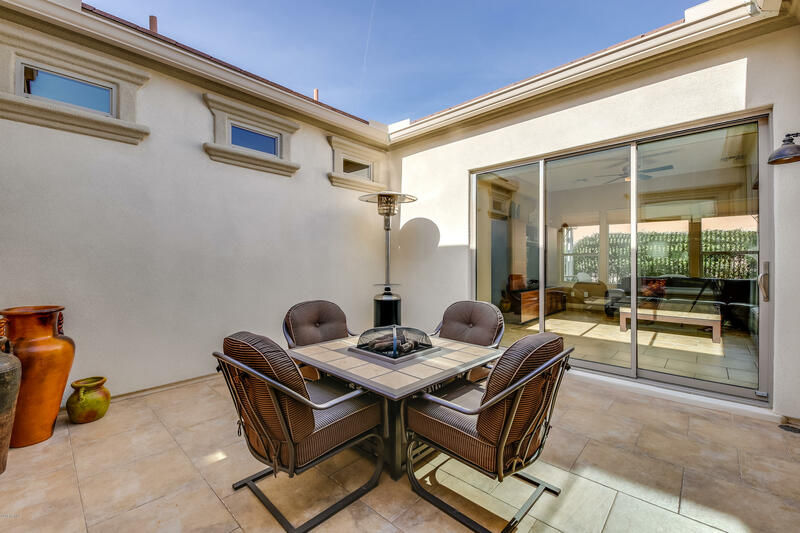 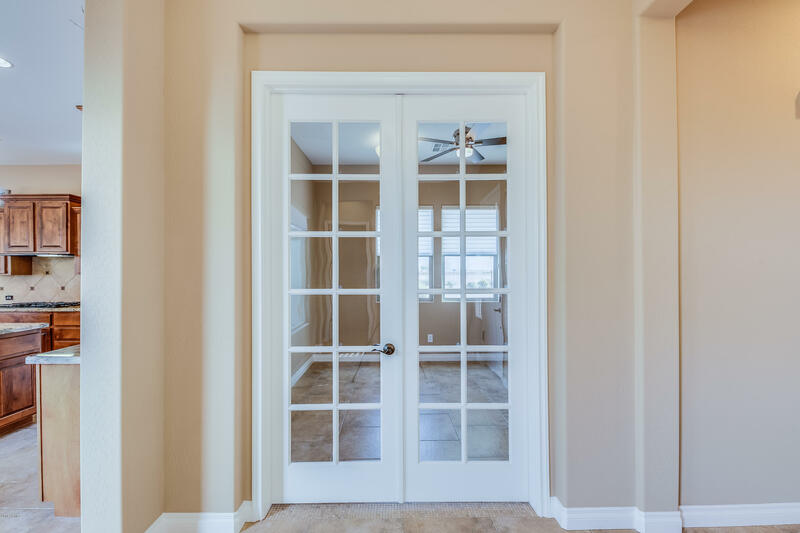 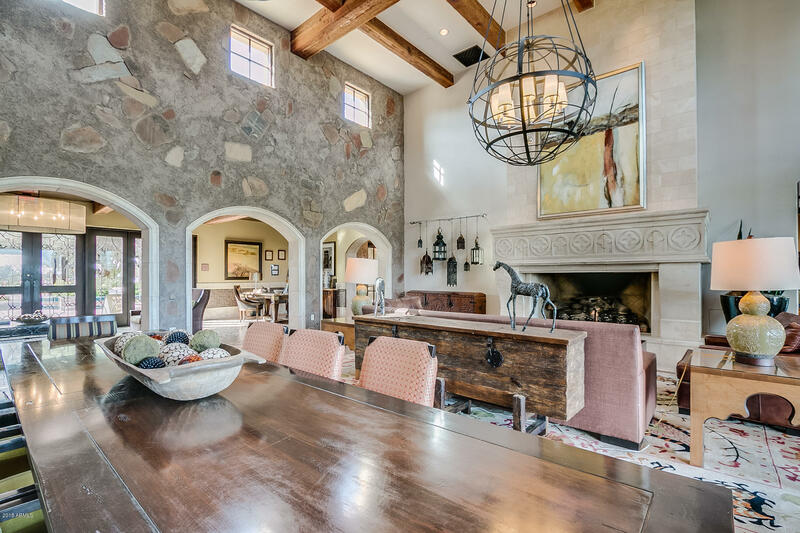 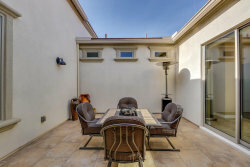 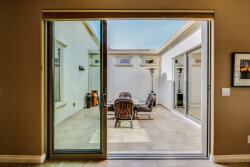 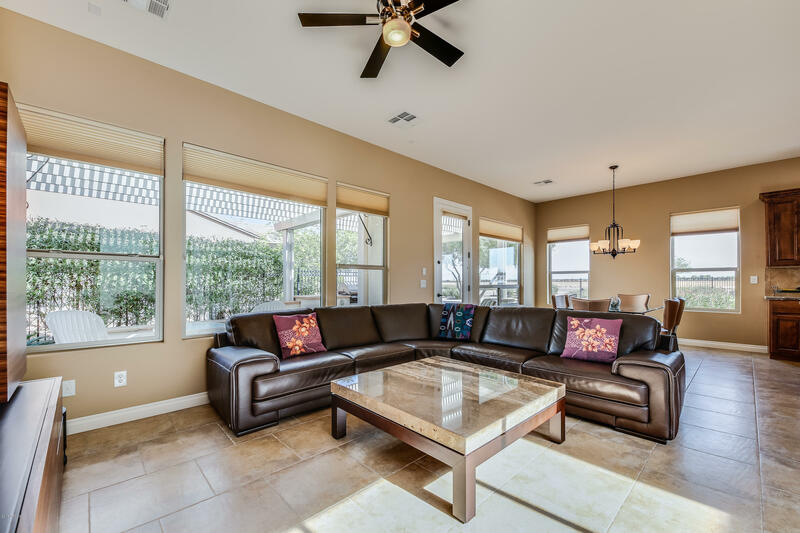 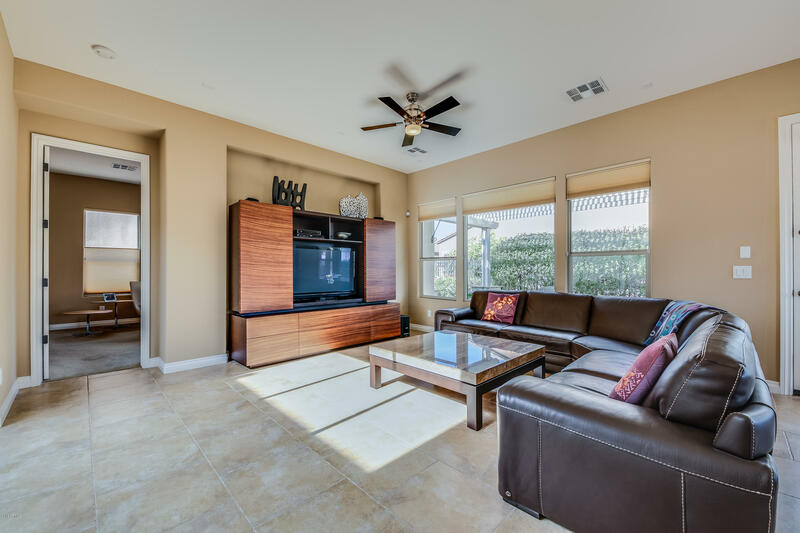 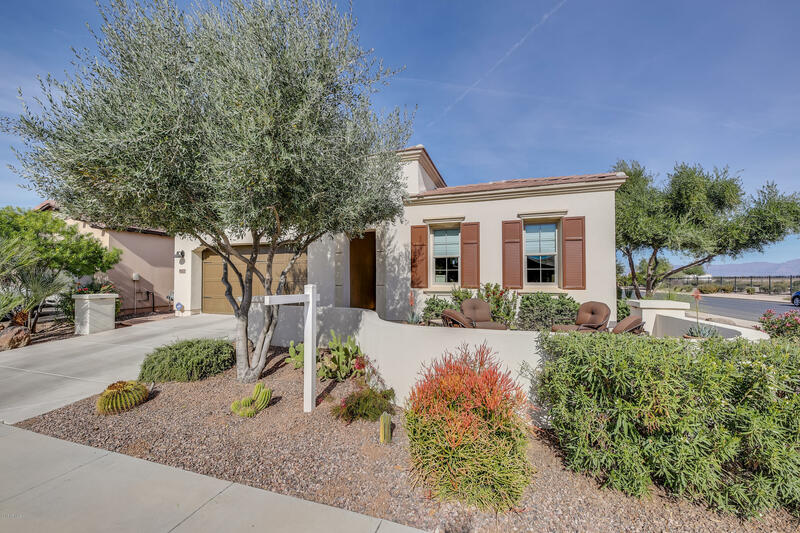 The home is situated on a corner home site and offers a beautiful courtyard as you enter. 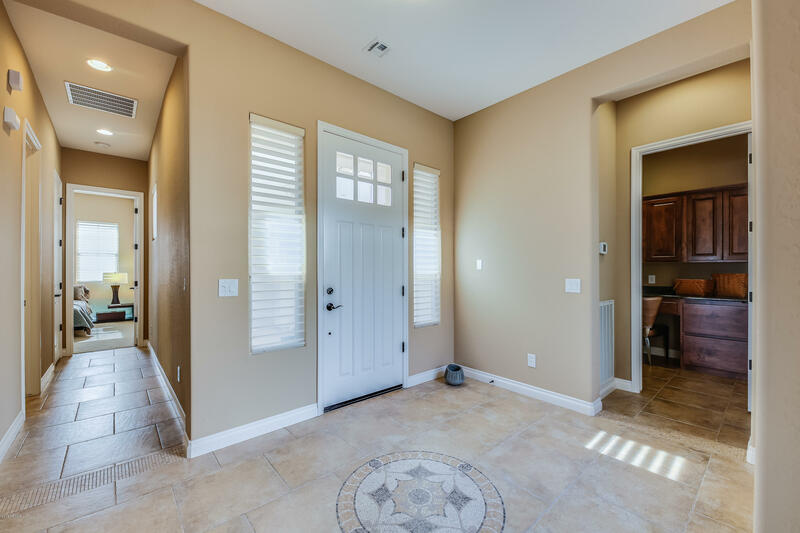 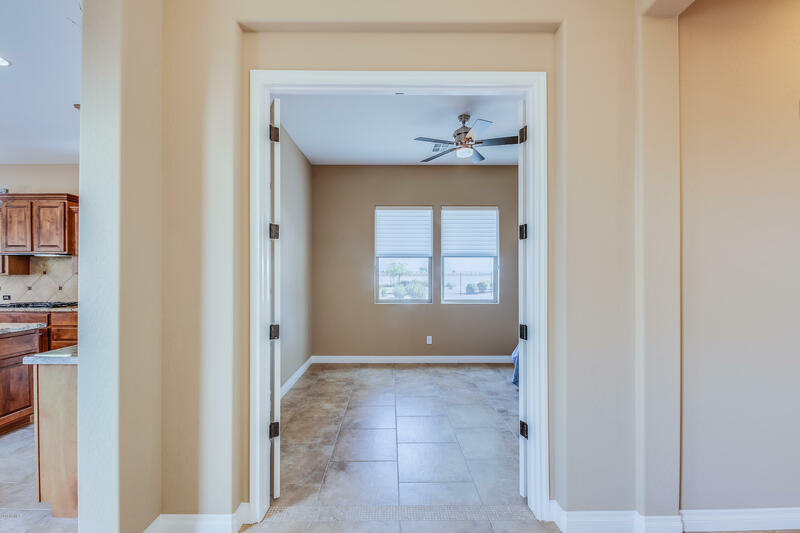 Immaculate tile flooring with a light and bright color palette. 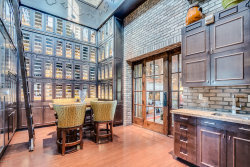 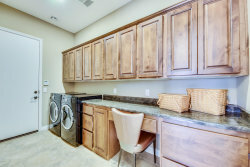 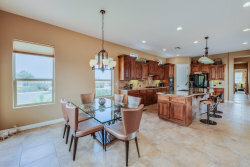 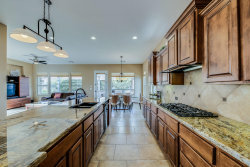 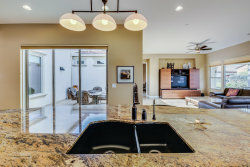 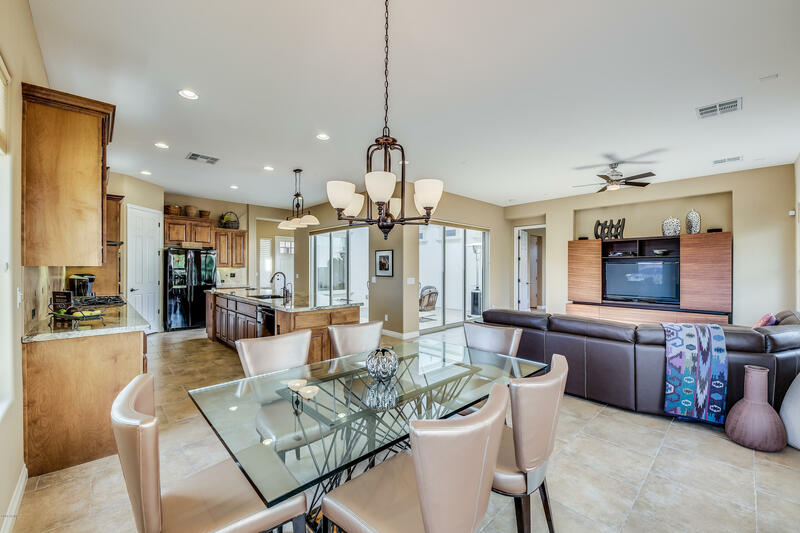 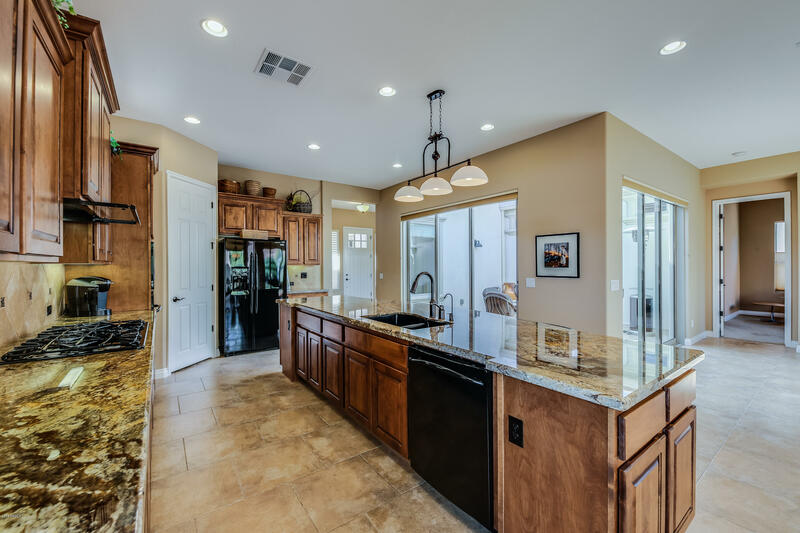 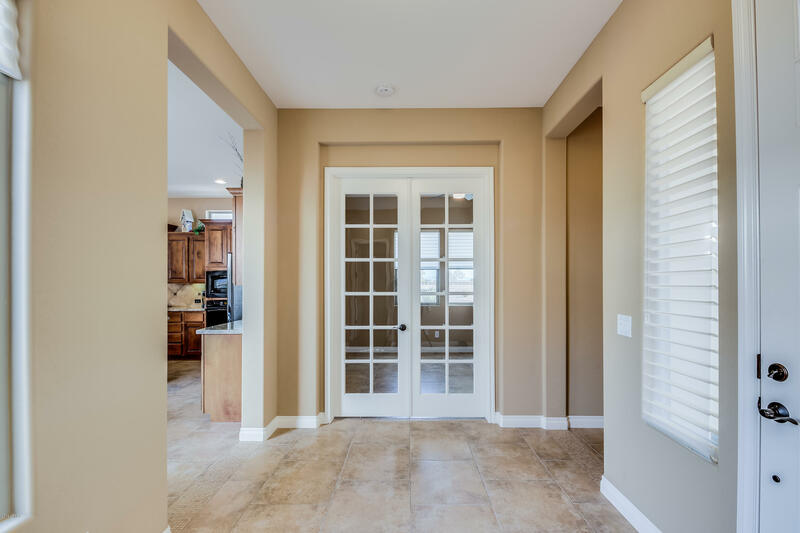 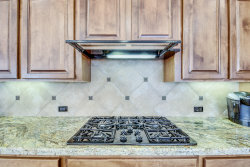 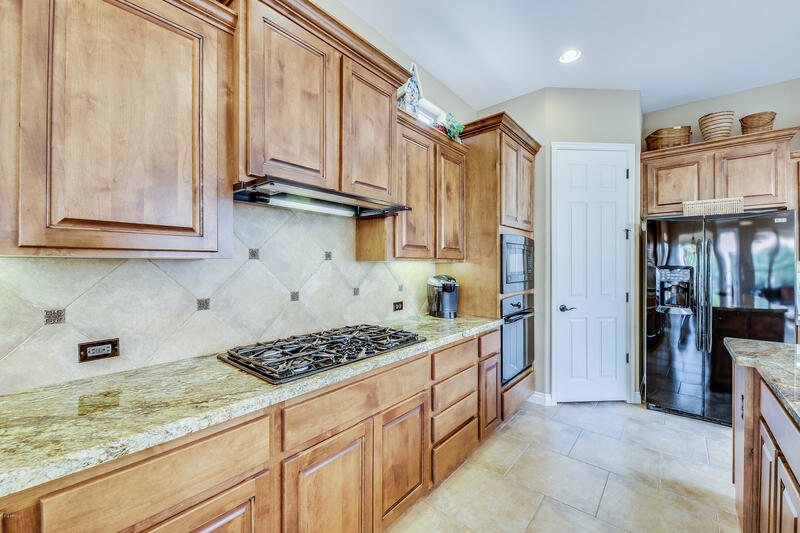 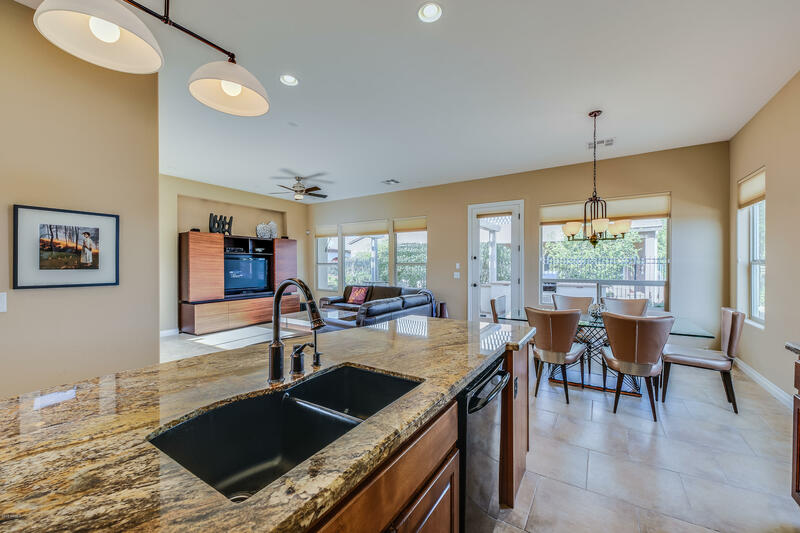 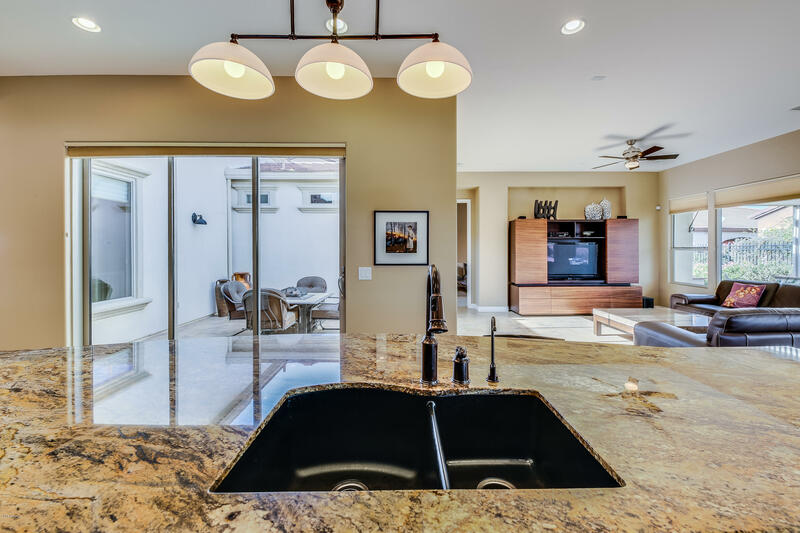 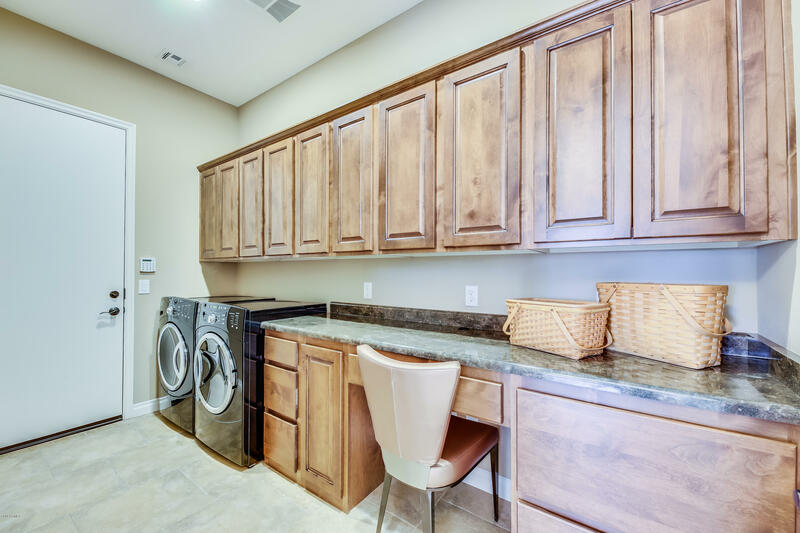 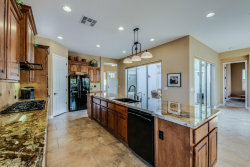 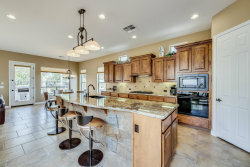 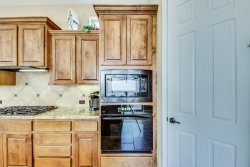 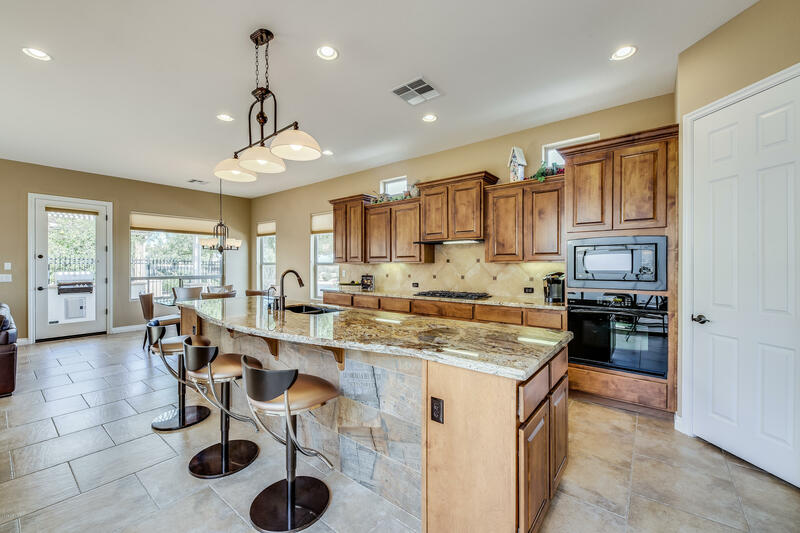 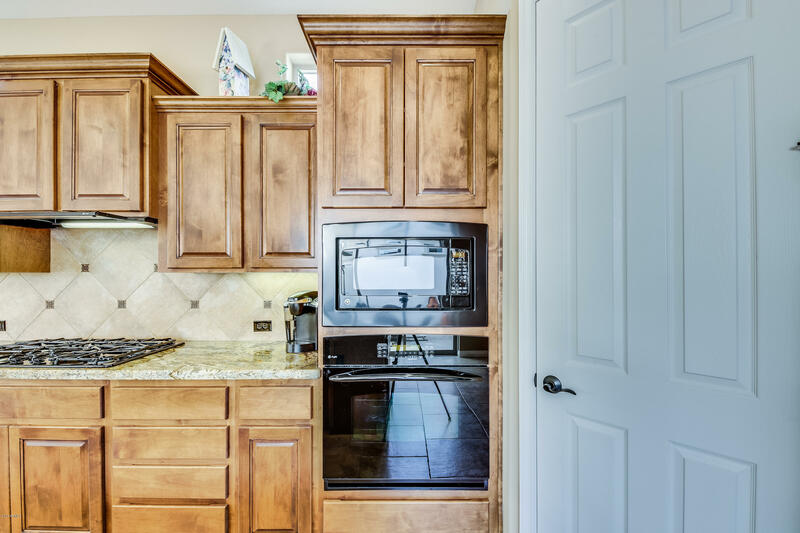 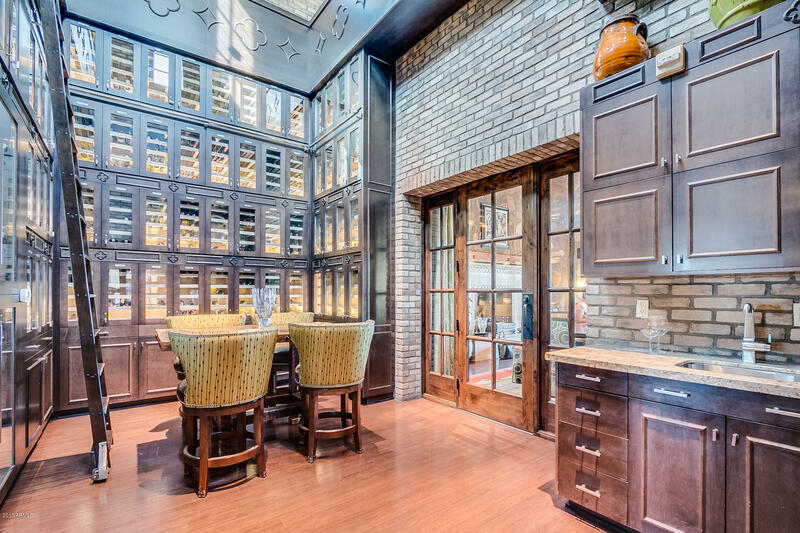 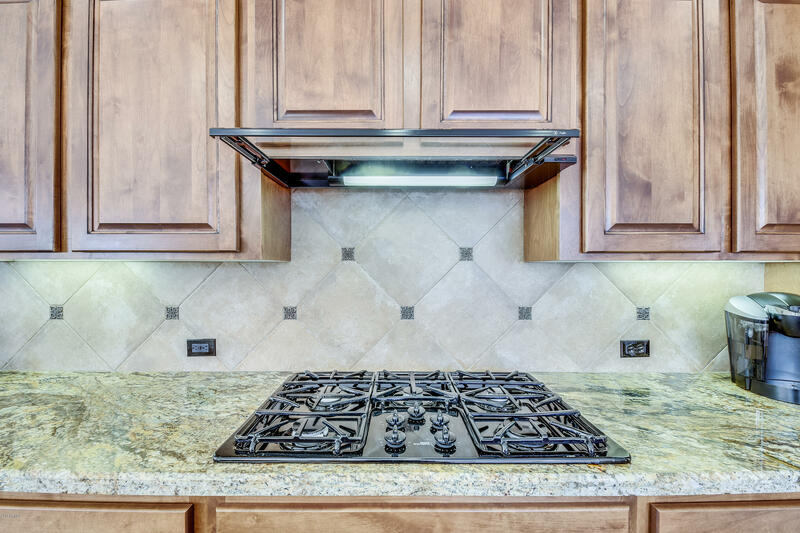 The kitchen is well appointed with granite counter tops and stunning maple cabinets. 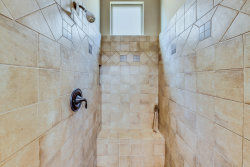 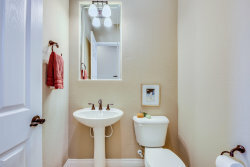 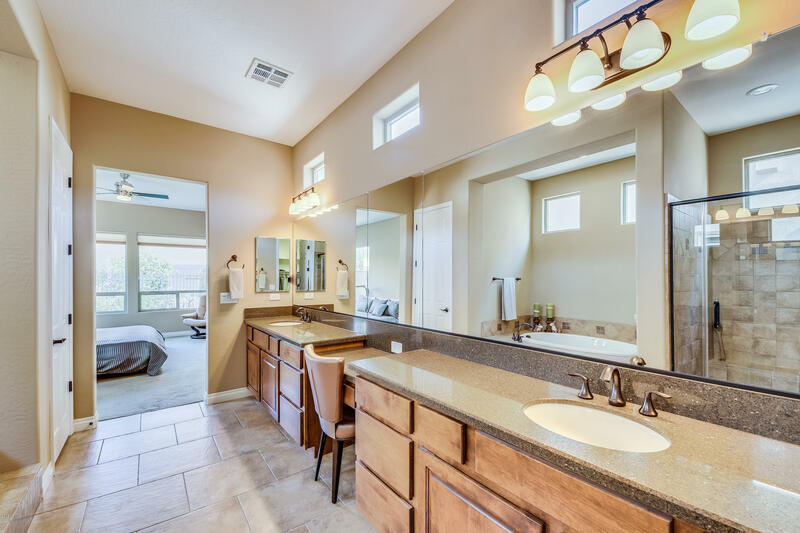 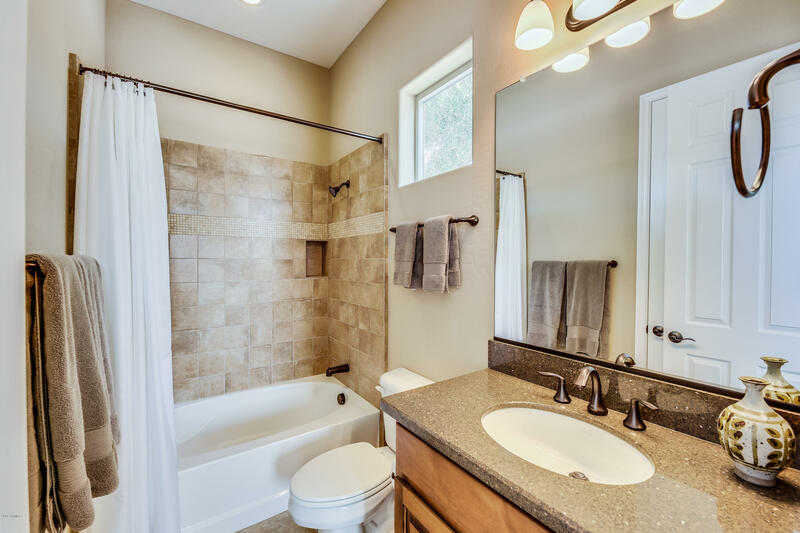 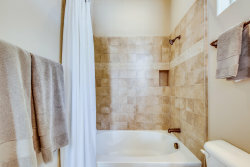 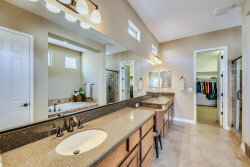 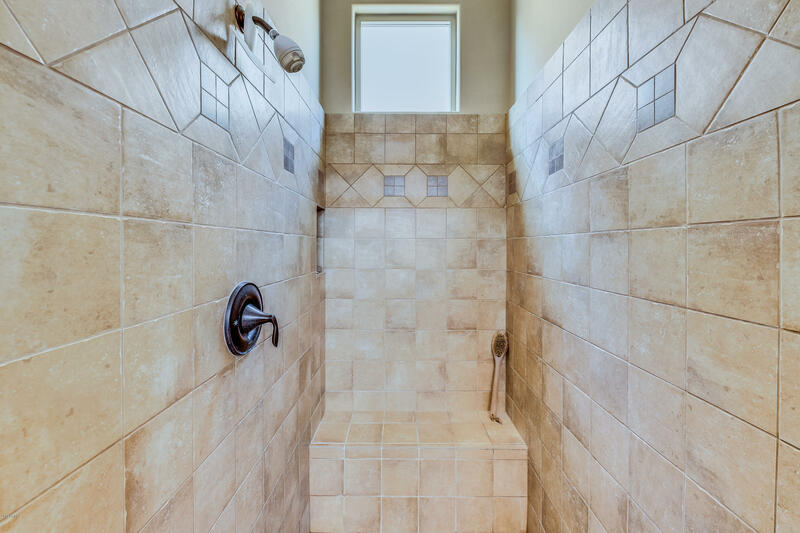 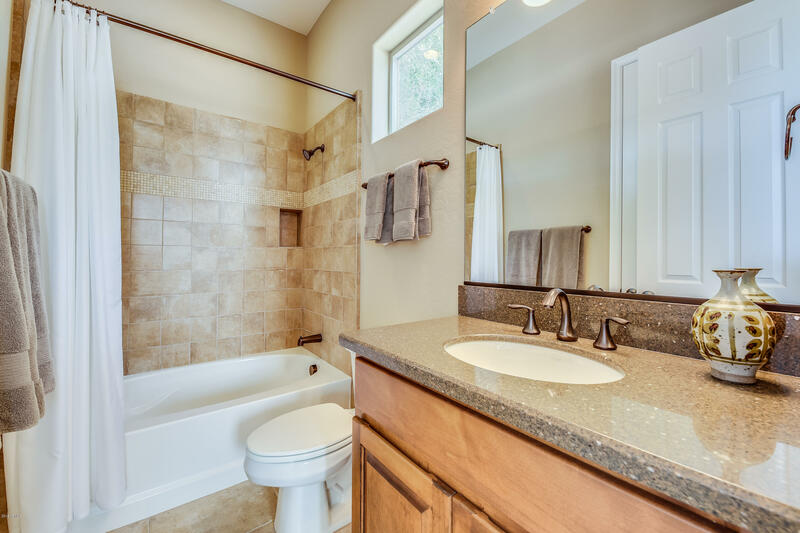 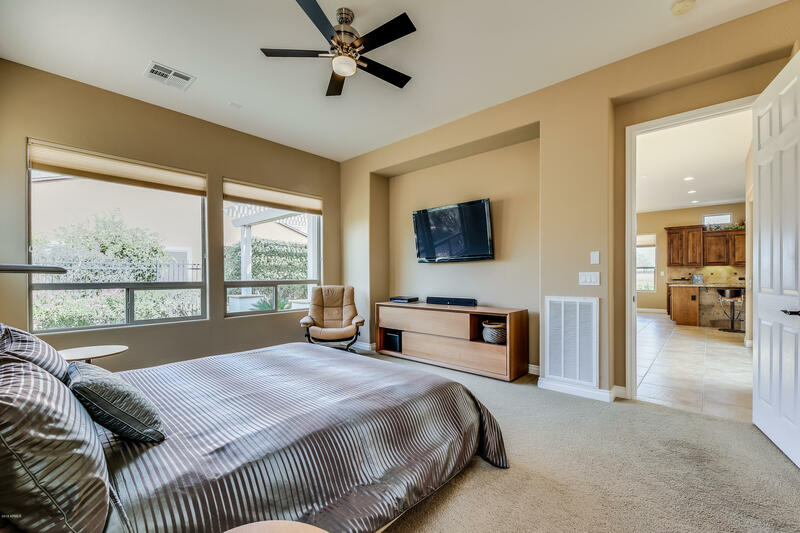 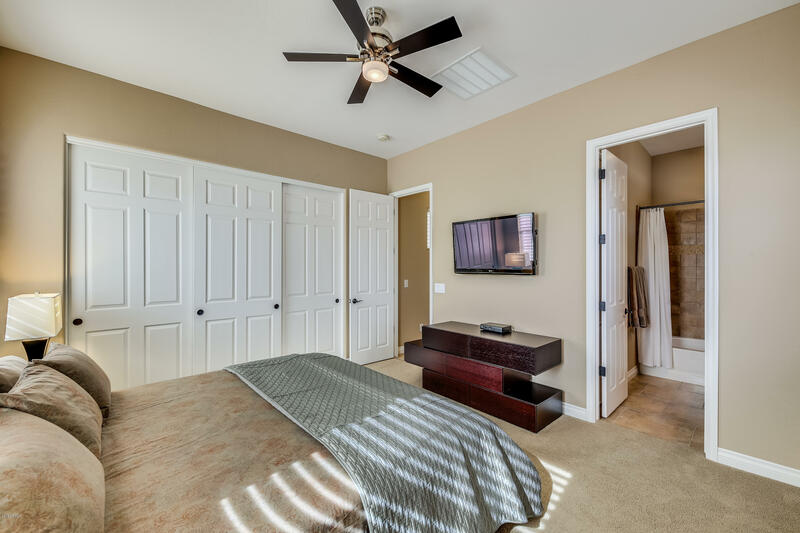 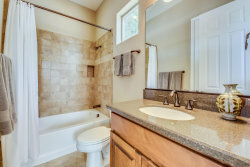 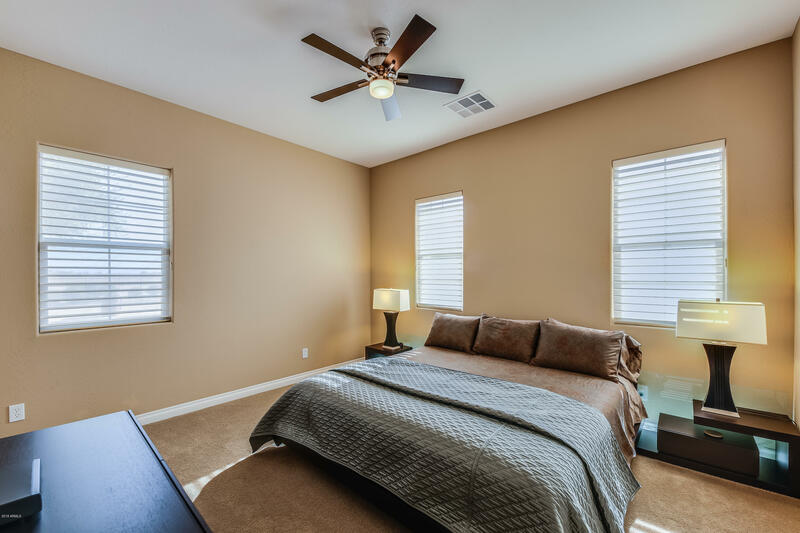 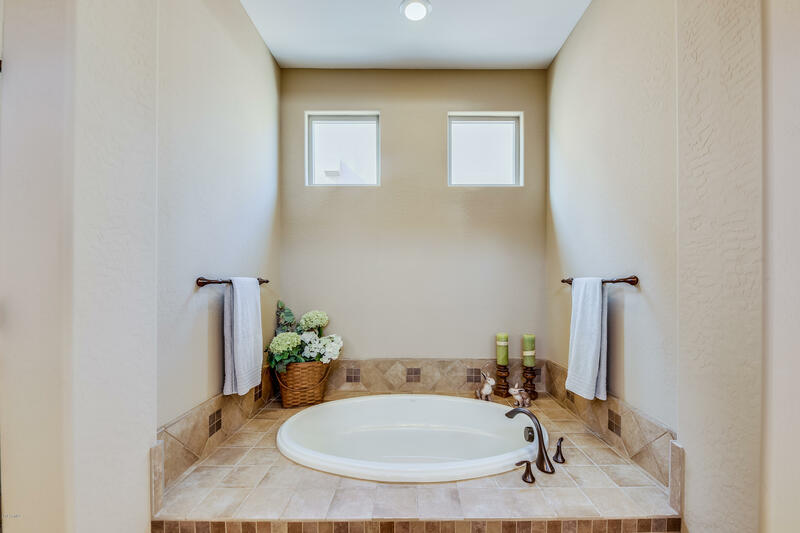 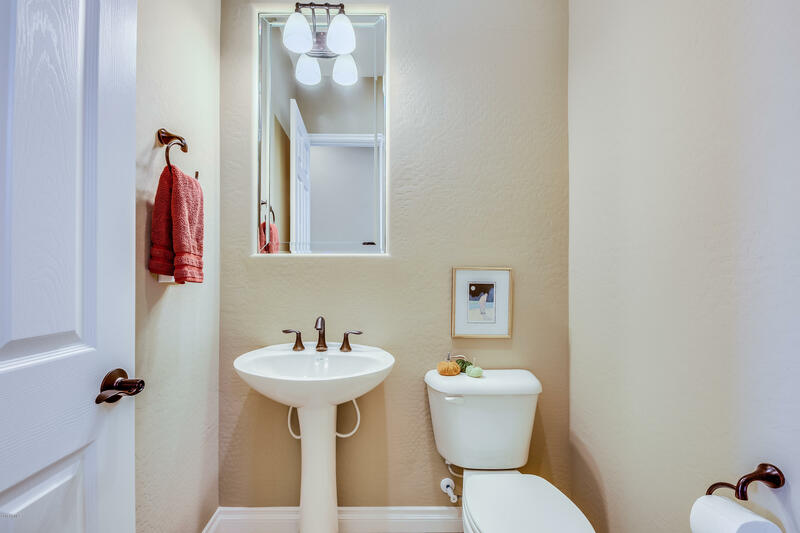 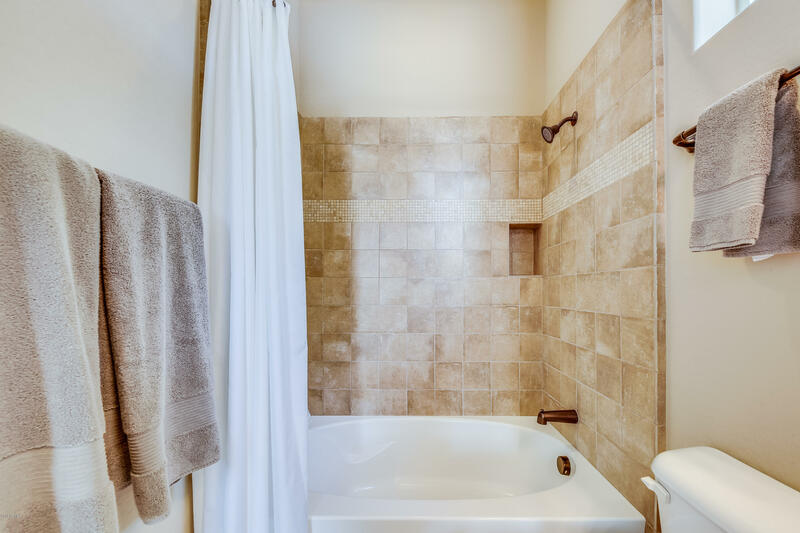 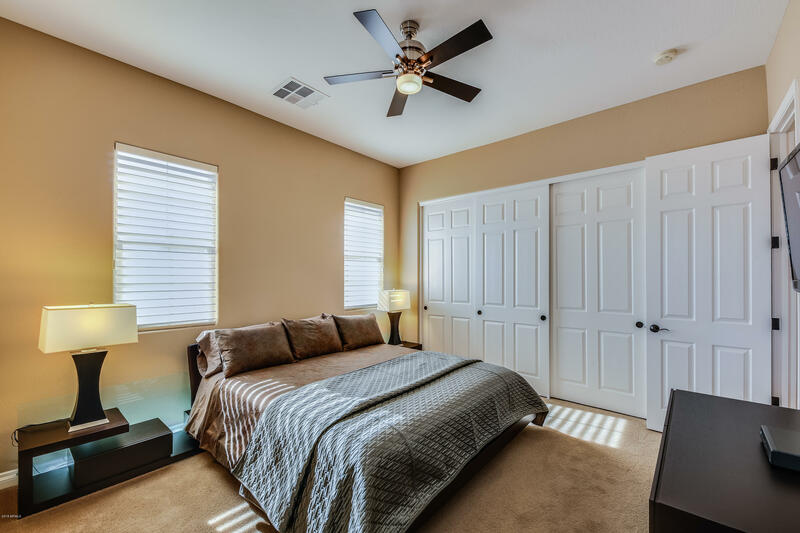 The master suite is split from the other bedroom and offers gorgeous tile work in the master bath. 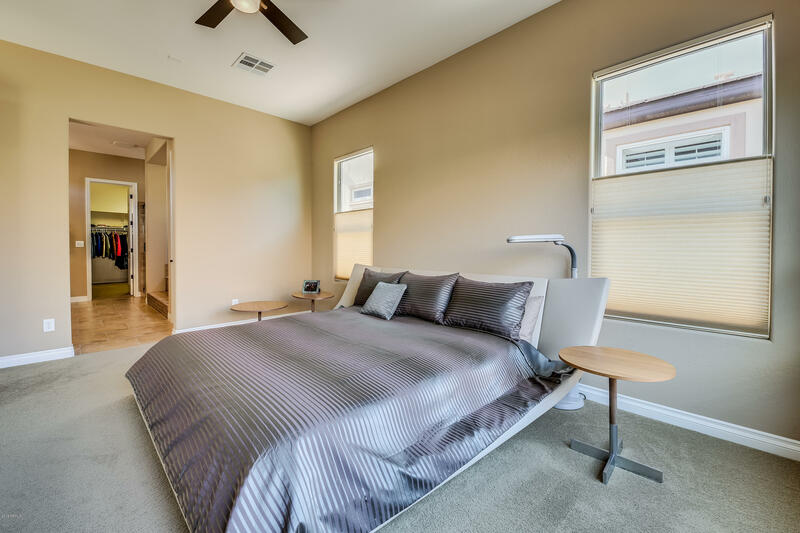 The separate den creates a space that is perfect for a home office or reading area. 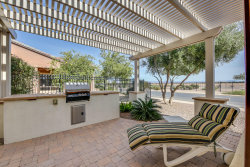 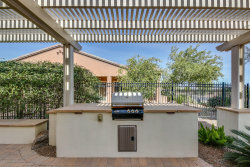 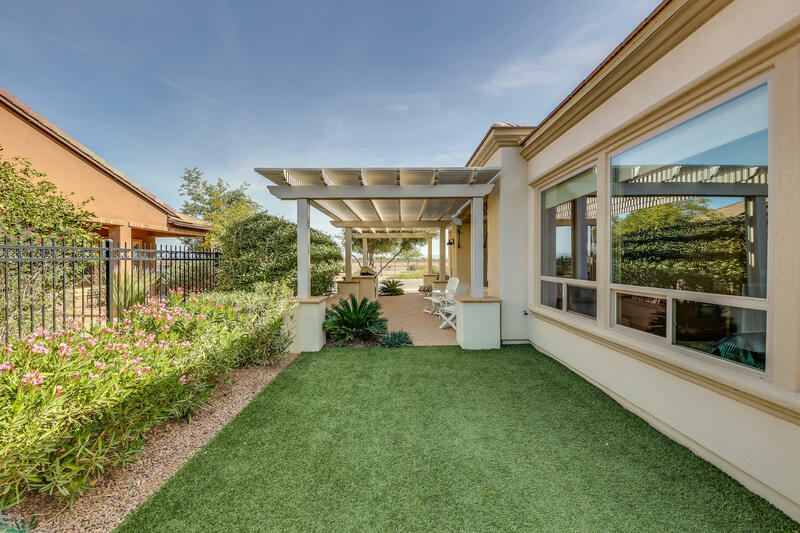 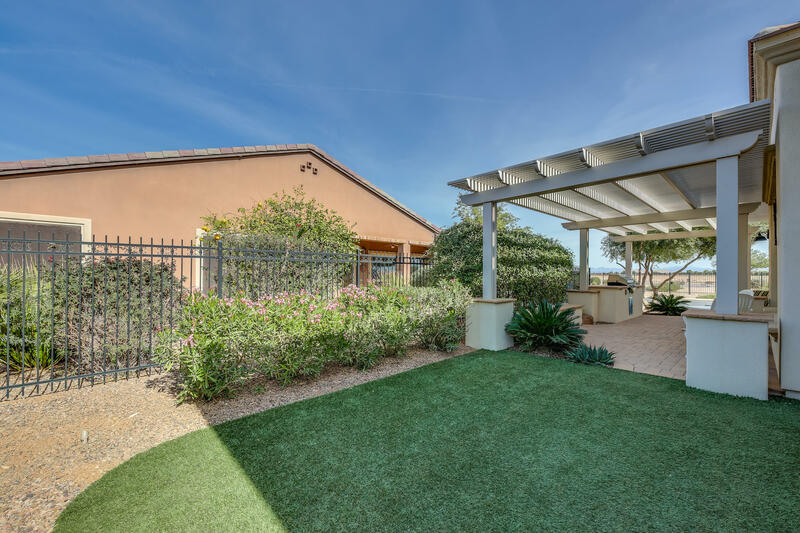 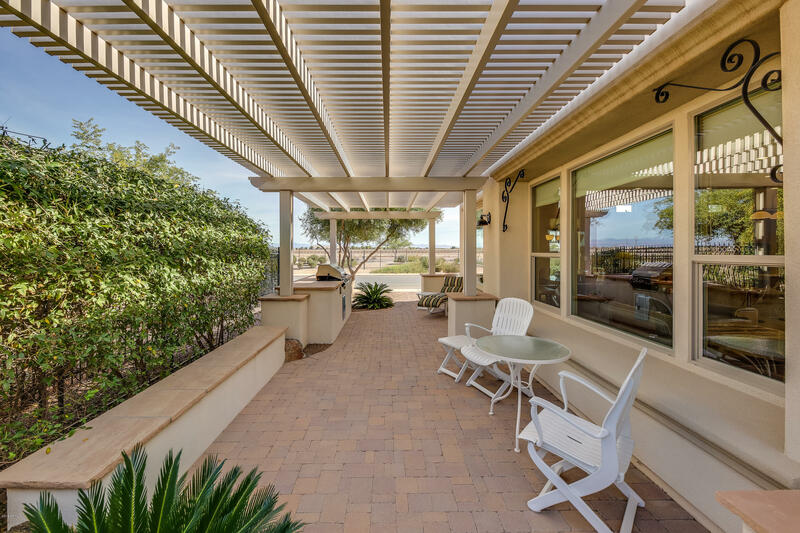 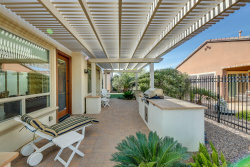 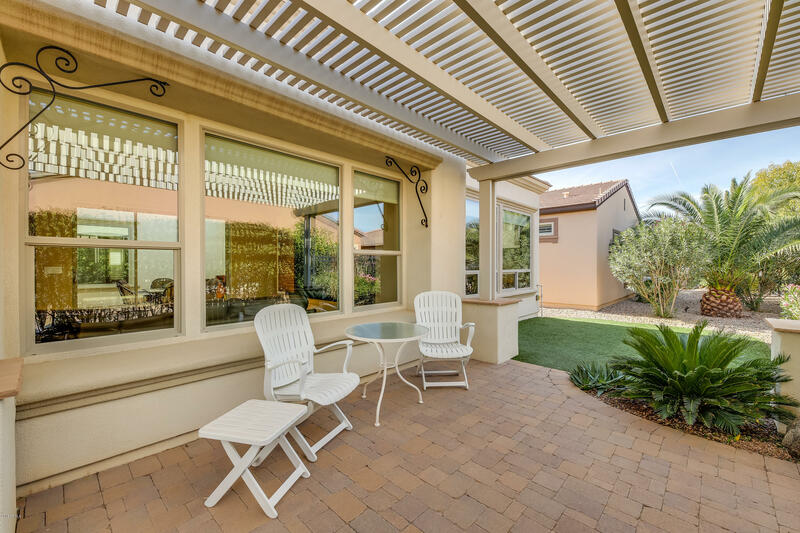 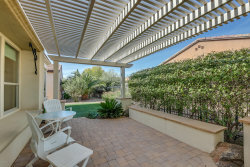 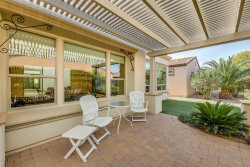 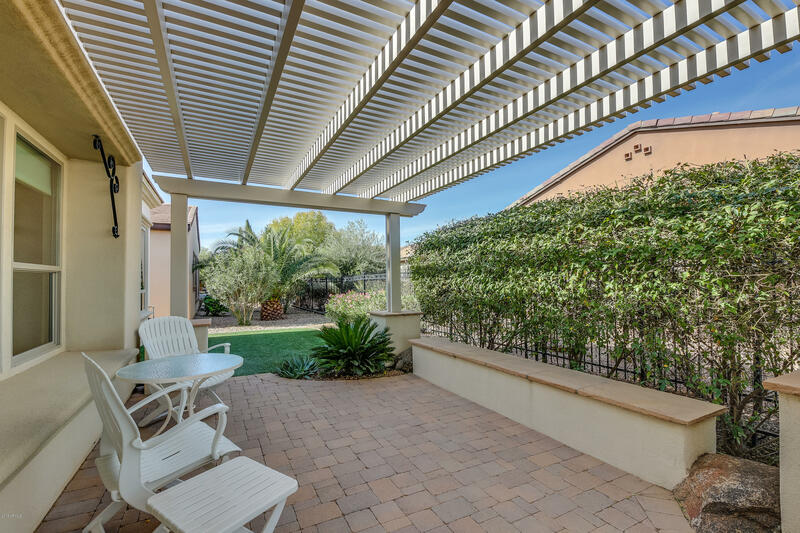 Step out back to an entertainer's paradise backyard that includes a gorgeous pergola and built-in BBQ grill. 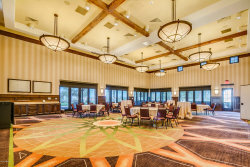 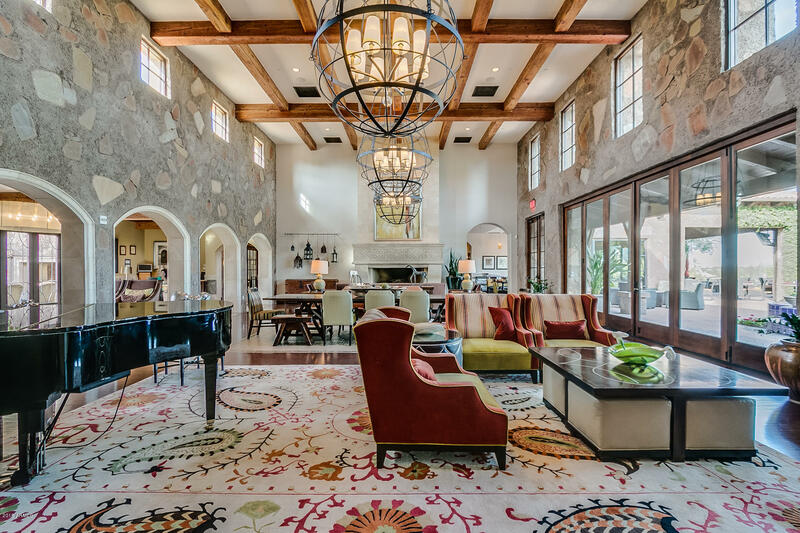 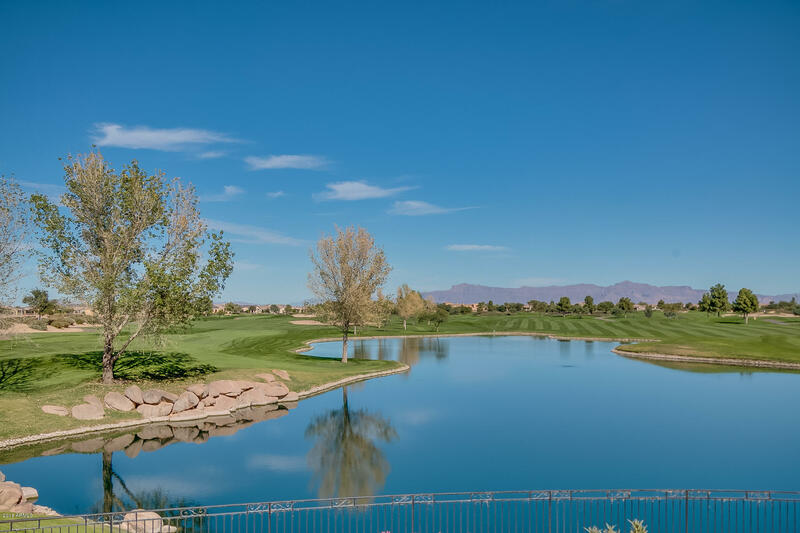 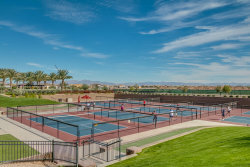 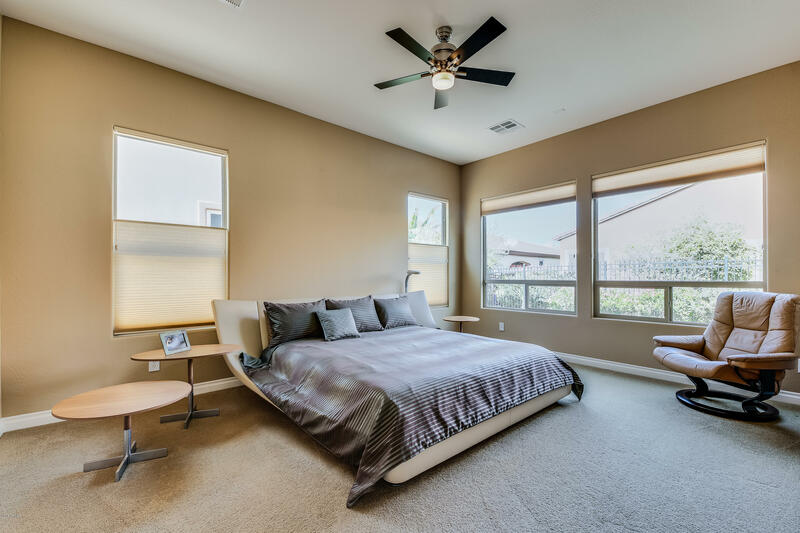 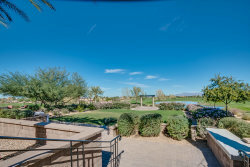 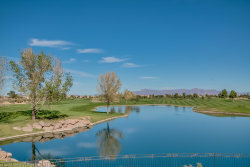 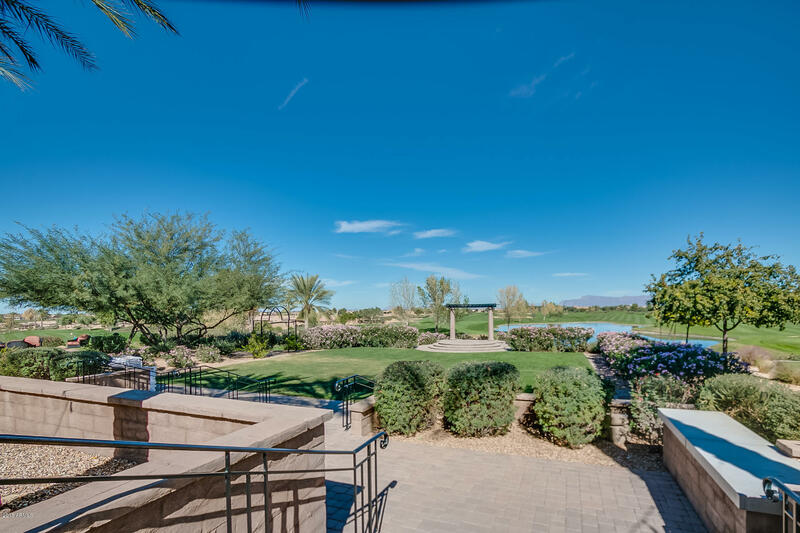 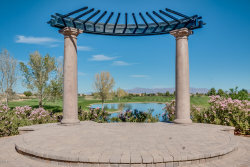 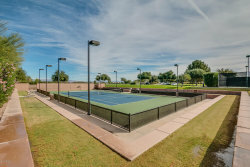 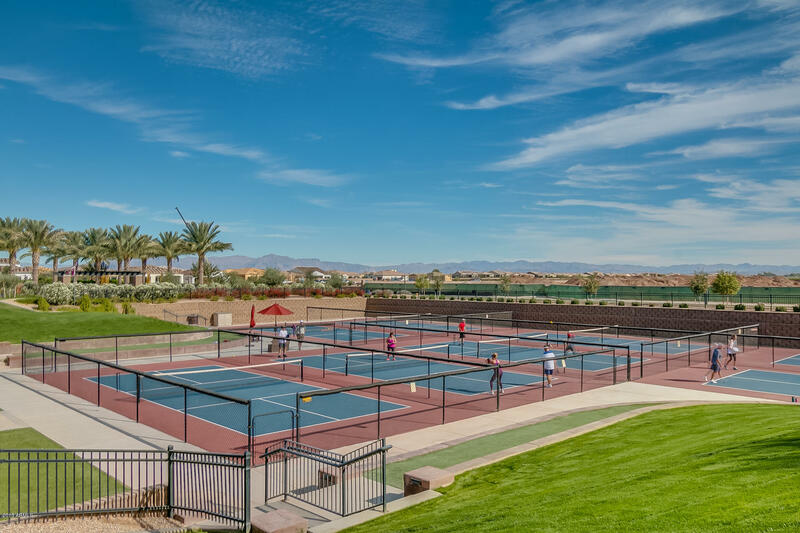 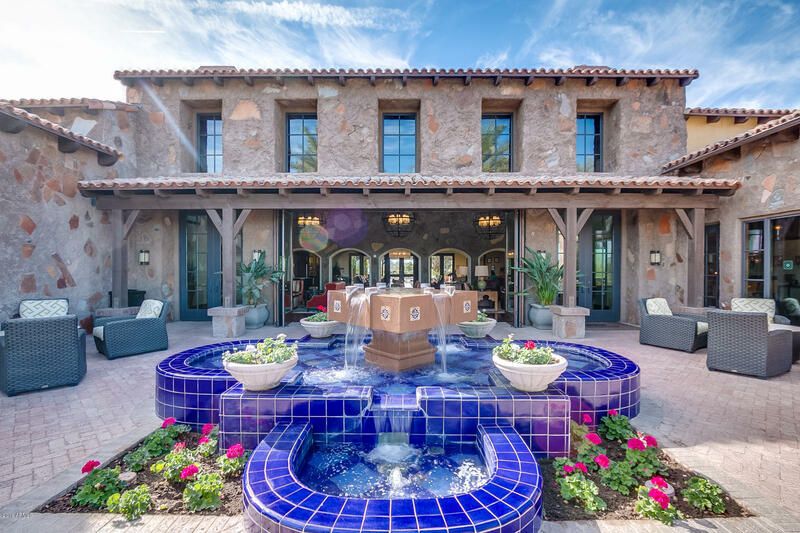 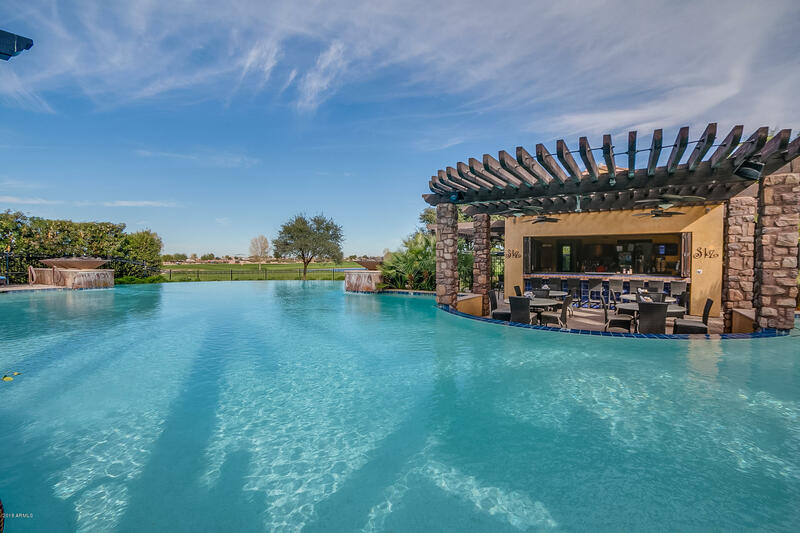 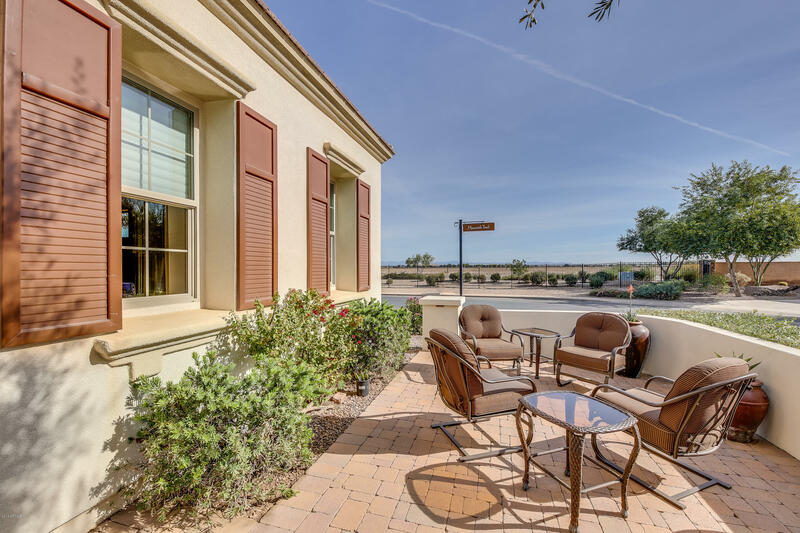 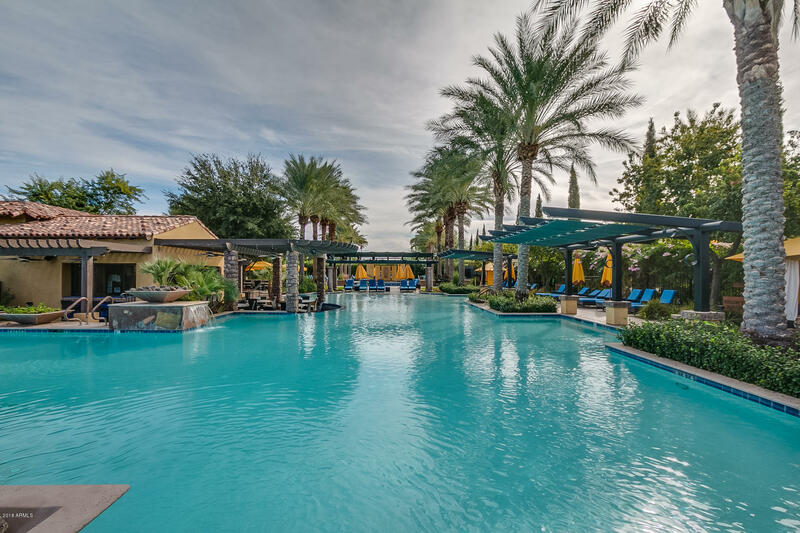 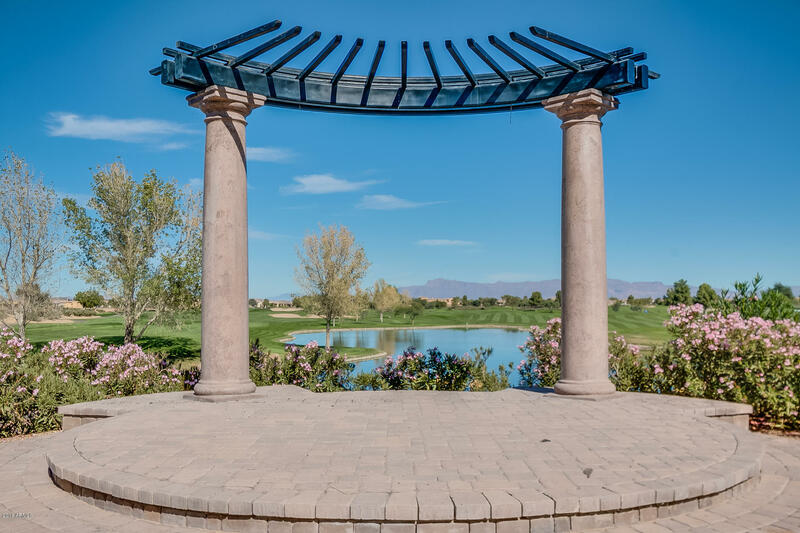 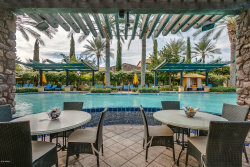 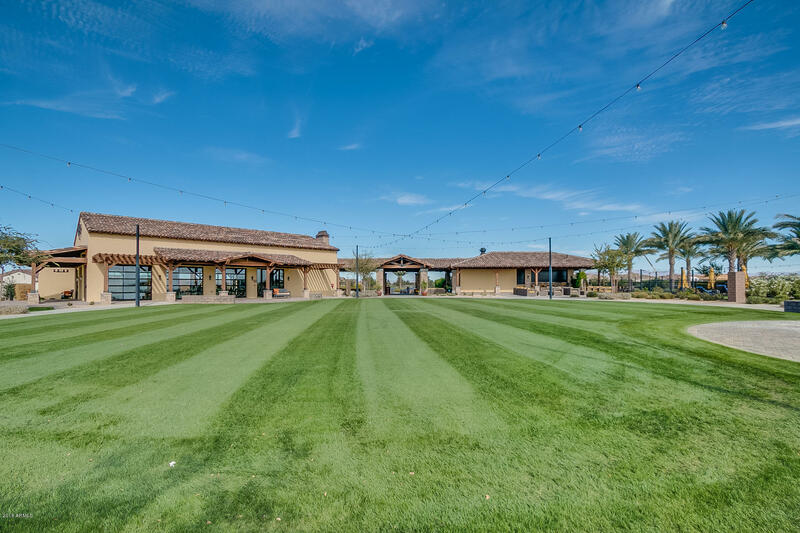 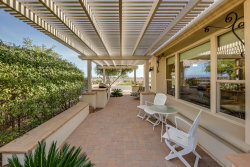 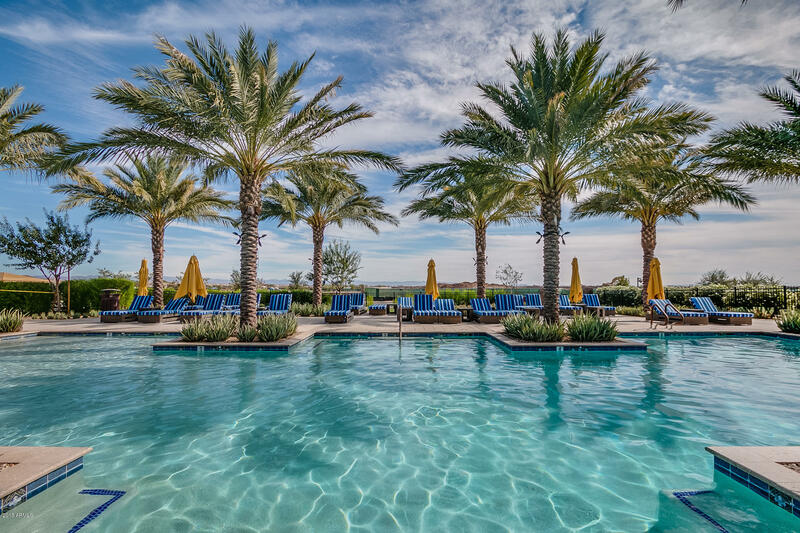 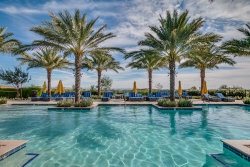 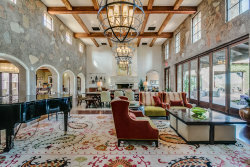 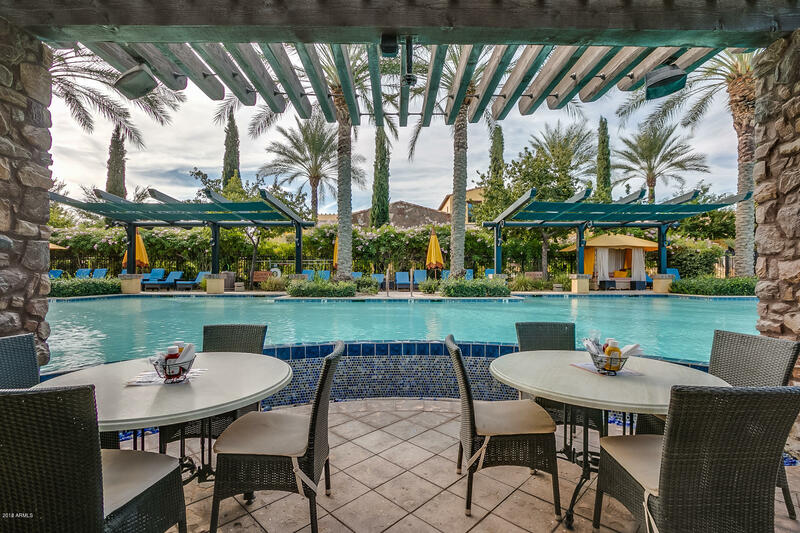 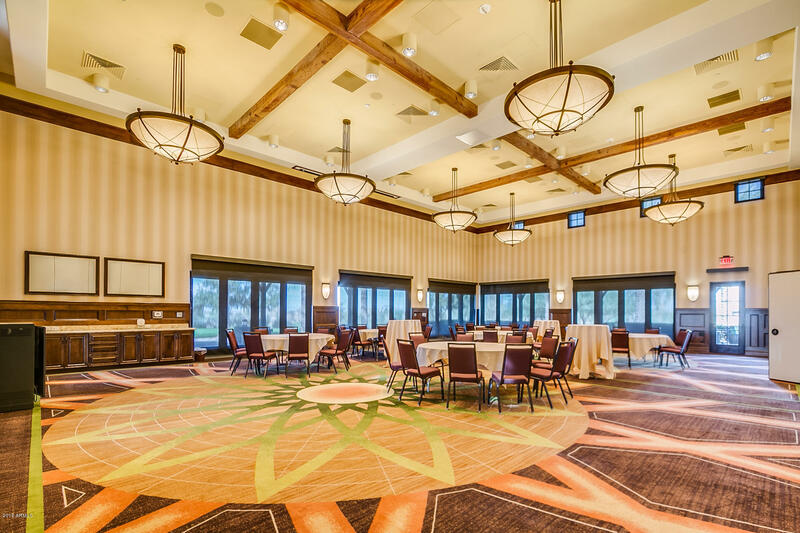 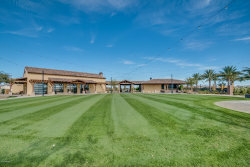 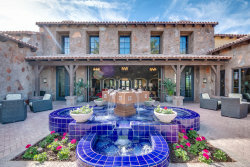 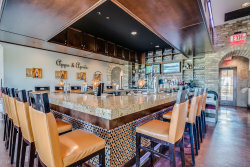 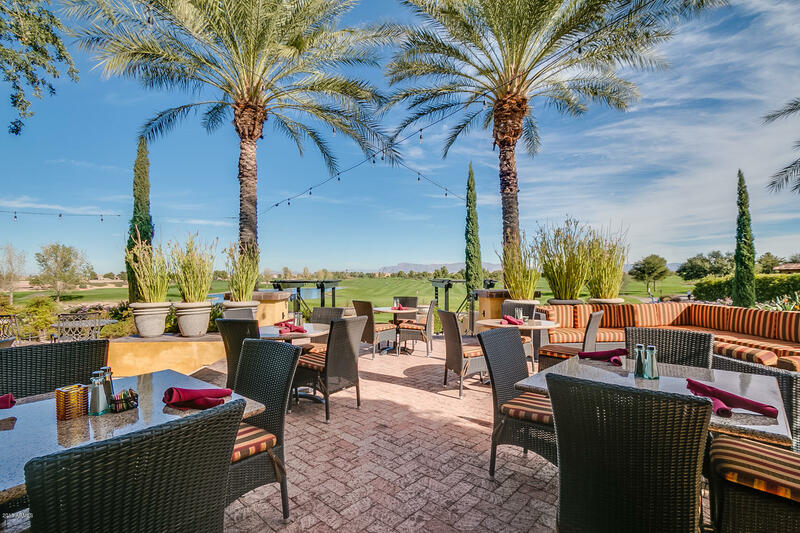 Start enjoying all the resort-style amenities that Encanterra(r) offers today!